With the Rio Olympics drawing to a close, Tokyo is up next in 2020. And to mark the occasion, Mario made a surprise appearance at the closing ceremony tonight, warp-piping from Japan to Brazil and transforming into...a cosplaying Japanese Prime Miniter Shinzo Abe. 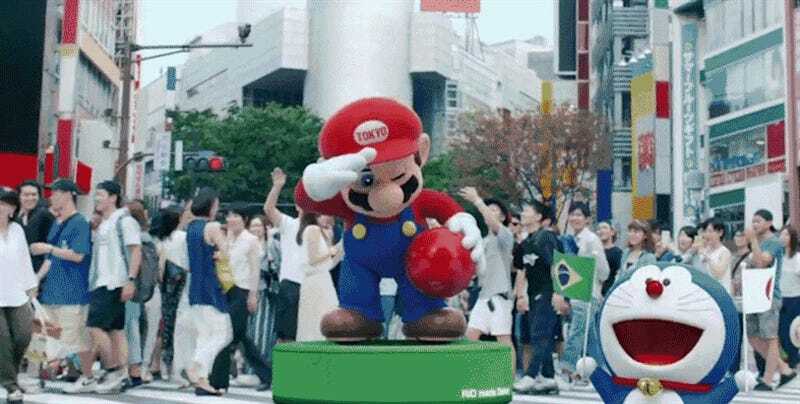 Here’s footage of the Rio-to-Tokyo handover show, which begins with a very slick video showing off some of the famous architecture, icons (and nerd heroes) of Japan’s capital before transitioning into Mario’s great animated journey across the Pacific.